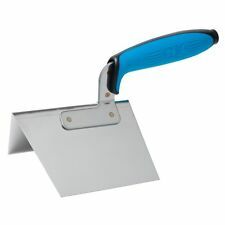 OX Tools 102mm x 127mm Internal Inside Corner Trowel is a useful addition to any plaster's tool kit and is constructed from high quality stainless steel for rust free use. Internal Corner Trowel. Flexible stainless steel blade. OX PRO DRYWALL INTERNAL CORNER TROWEL. Trade Counter Online are an Official OX Tool Distributor. We will always go out of our way to source the product you are looking for. Add to Favourites. 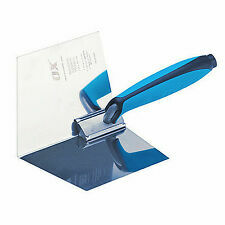 OX P013001 Pro Series Drywall Internal Corner Trowel (120 x 127mm). High quality flexible stainless steel blade with strong aluminium mounting for durability. Duragrip handle for ultimate comfort. 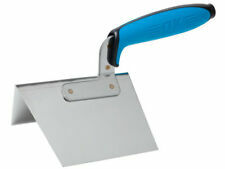 OX PRO DRYWALL EXTERNAL CORNER TROWEL. Trade Counter Online are an Official OX Tool Distributor. We will always go out of our way to source the product you are looking for. Add to Favourites. Flexes for perfect 90° corners. Zone 4 - Bulgaria, Estonia, Italian Islands, Latvia, Lichenstein, Macedonia, Serbia. Goods under £150 - £32.95 Goods over £150 - £39.95. Goods under £150 - £23.95 Goods over £150 - £29.95. 90° Radius. Zone 4 - Bulgaria, Estonia, Italian Islands, Latvia, Lichenstein, Macedonia, Serbia. Goods under £150 - £32.95 Goods over £150 - £39.95. Goods under £150 - £23.95 Goods over £150 - £29.95. Botanex began with a vision to provide discerning gardeners, landscapers and foresters with products online not always readily and easily available. OX Tools do what you want them to do, over and over again. OX-P013001 / P013001. 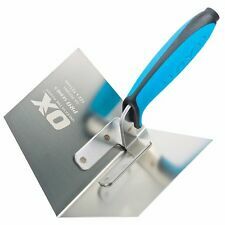 Ox Pro Series Internal Corner Trowel. Ox Pro Series - External Corner Trowel. 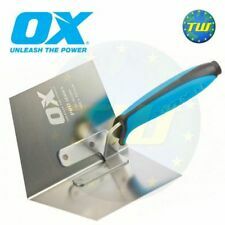 OX Pro Internal corner trowels have a high quality flexible stainless steel blade and a comfortable soft grip handle with finger protection. Developed and proven in Australia over the past 43 years, our tools are recognised as tough, dynamic and dependable across the globe.